Congratulations to Soror Rebecca Jordan and Soror Shermaine Pinkard for being inducted into the Omicron Phi chapter of Order of Omega at Kennesaw State University on Sunday, March 13, 2016. Order of Omega is a Greek leadership honor society open to members of all Greek letter organizations. 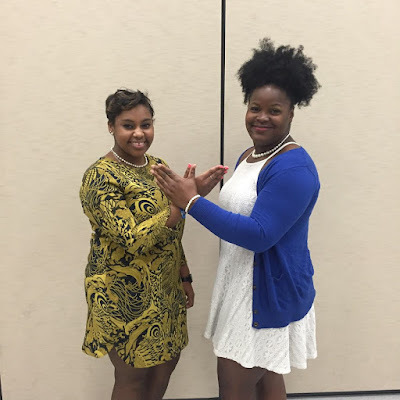 Both of these ladies are members of the “Tenacious” Theta Rho chapter.